You know, I’d had it. I really felt like I spent the whole day, every day, walking around the house just picking up after people. I wasn’t really exaggerating in that feeling, either. I spent WAY TOO MUCH TIME picking up after people. I have always been big into teaching my children how to clean and they know they are supposed to clean up after themselves. I had carefully taught them how and why they clean up after themselves. And yet, here I was, cleaning up after these people who knew better. Sure, if they were home when I saw the mess and told them to clean, they did it and did it well. But I didn’t want to tell them to clean up. I just wanted them to do it. But I am more than a dreamer. I am a doer. A problem solver. I like to make things happen. I knew my kids knew how to clean up after themselves and that they should. I have taught them. This was a matter of motivation. For whatever reason, it was not on their minds. Call it laziness, forgetfulness, thoughtlessness, carelessness, busyness…probably a nice recipe of all of those things. I needed a way for cleaning up to be on their minds. And so I came up with the 5 Cent Cleanup Plan. I gathered my children together. I explained that I had been spending a whole lot of time cleaning up after them. I reminded them of how that wasn’t okay and that they needed to be responsible. I then told them the new law around the house. Anytime I had to pick up something that didn’t belong to me and put it away, I would charge five cents per item. I would save up that money and take myself to Coldstone Ice Cream (my favorite!!!). I made sure they understood. One of them said they would just join me at Coldstone with their own money. I informed them children would not be invited on this reward trip for myself. Each day as they did their morning routine, I would remind them, “I will be doing a cleaning sweep as soon as you leave for school. Make sure you don’t leave anything out unless you want to pay me for it.” Each night as they got ready for bed, I reminded them the same. I would give fair warning before every sweep initially. As time went by, I would just clean. One day, Brayden had to pay me 30 cents. He didn’t forget again. The same thing happened with my other children. It really only took one time of having to pay me to set them straight. I did 5 cents for a few reasons. It isn’t a TON of money to take from a child. That way I wouldn’t be breaking their banks and I also wouldn’t be hesitant to enforce the law. The key to a rule is enforcement and follow through. You would not believe the difference it made in my house! It sounds dramatic, but it really was life changing. 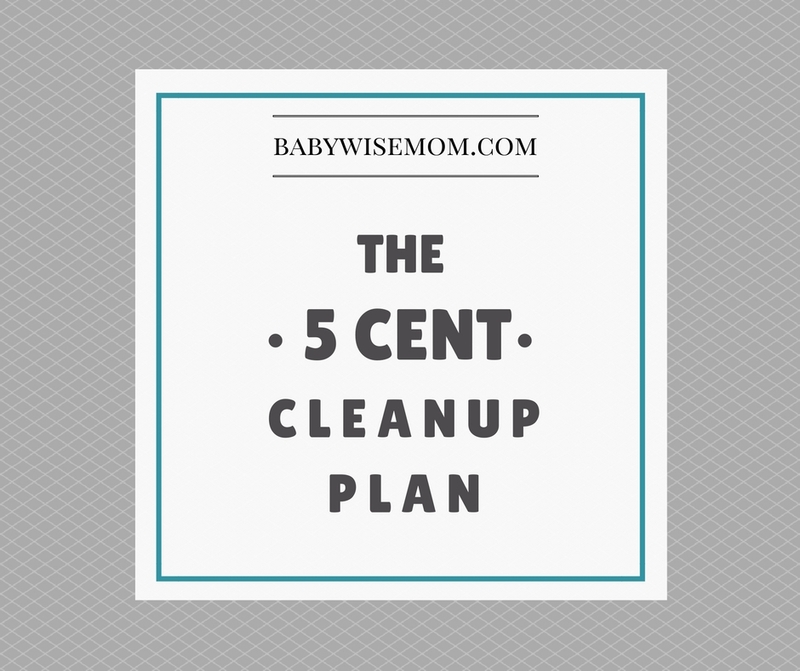 The next time you need to find a way to get your children to clean up after themselves, remember my 5 cent plan and try it out. It can change your life, too!